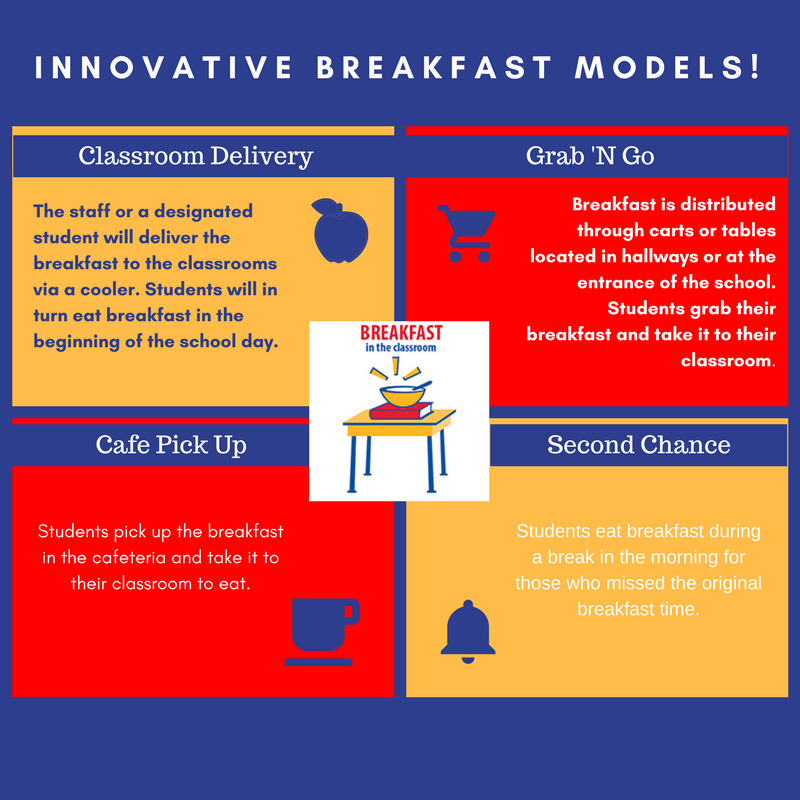 Innovative Breakfast Programs - The Breakfast in the Classroom initiative is tasked with moving breakfast out of the cafeteria and integrating it into the academic day. The aim is to increase breakfast participation for students and schools. Click here to check out the FRAC BIC Factsheet!